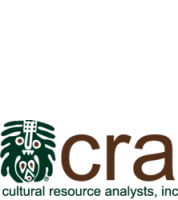 GSA Contract | Cultural Resource Analysts, Inc.
CRA holds a Professional Services Schedule (PSS) with the U.S. General Services Administration (GSA Contract No. 47QRAA19D0048) for providing environmental planning services and documentation under Special Item Number (SIN) 899-1. Through this contract, CRA provides “Archaeological, Historical and other Cultural Resource Management Plans, Studies, and Consultations” to federal agencies, ranging from basic reconnaissance surveys to complex mitigation efforts. Much of this work is carried out in compliance with the National Historic Preservation Act (NHPA), National Environmental Policy Act (NEPA), Archaeological Resources Protection Act (ARPA), and other such federal regulations. Any federal agency may use the PSS as a procurement vehicle. Federal agencies may issue RFQs directly to contractors such as CRA using the agency’s procedures or through GSA’s eBuy system or other approved mechanisms. Since CRA’s rates have been pre-approved as fair and reasonable and a contracting mechanism is already in place, the GSA contract allows agencies to obtain cultural resource services directly from CRA, thus avoiding the delays often associated with lengthy solicitation processes. Additional information on how to contract using a GSA schedule can be found through GSA Advantage! and the GSA Schedules Program. For questions or additional information on CRA’s GSA contract, contact Charles Niquette, President/CEO, at 859.252.4737 or cmniquette@crai-ky.com. For detailed information and our approved price list, see CRA’s catalogue at the GSA eLibrary.